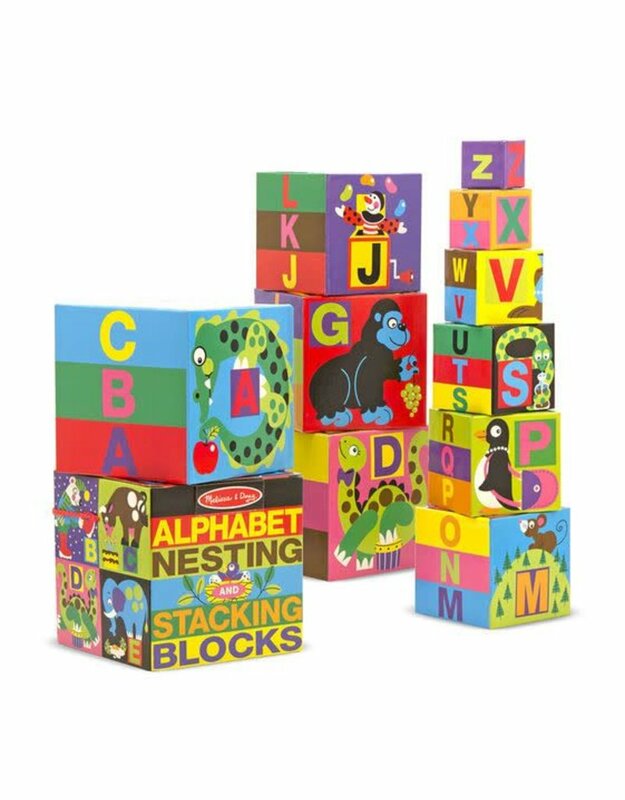 "A" is for an alligator eating an apple!Brightly colored animals and familiar objects illustrate the letters of the alphabet on these sturdy cardboard blocks that stack by letter, color, and size. 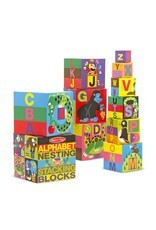 Nested, the 10 vibrant blocks fit into the included carrying case. Stacked, they form a tower nearly three feet high!